It focuses on the production of glass molds, metal parts and accessories. Production of glass molds and parts. Production of glass molds and parts has a tradition of 30 years. In the beginning everything was made on conventional hydraulic machines and copiers, but a turning point came in the first half of the 90s, with the transition to CNC technology. 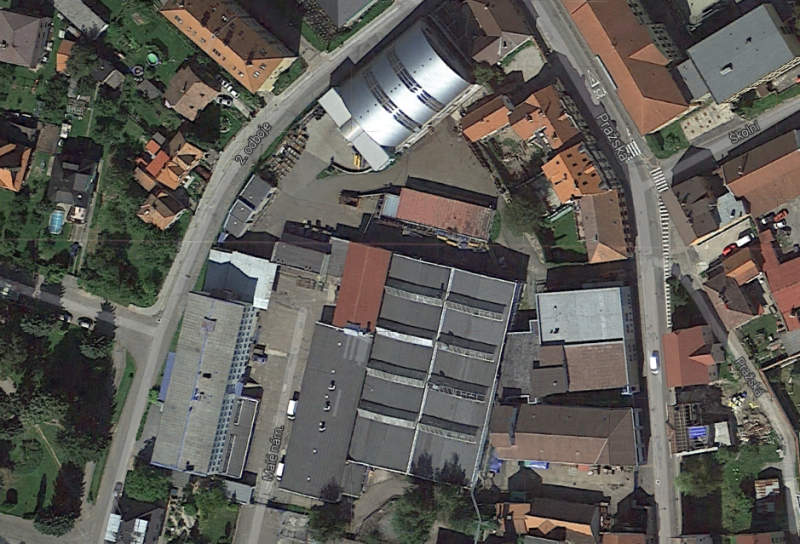 Today, the Centre has experience in mold manufacturing and also technological and technical facilities. The machinery plant is equipped, in addition to current conventional machines, with nine productive CNC machining centers. There are five milling machines, up to four axis and four lathes, the latest of which has a C axis, driven tools and bar feeder. 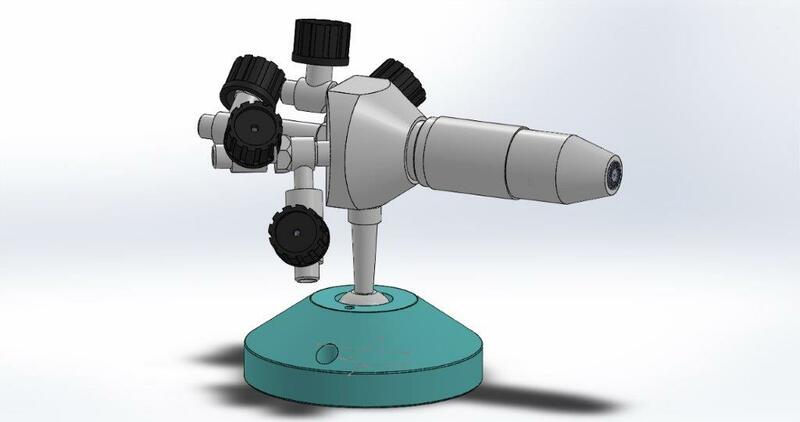 Of course, the coordinate measuring machine and CAD / CAM software. Equally important is the hand finishing workshop, which takes care of polishing, welding etc., which require experience and skills. 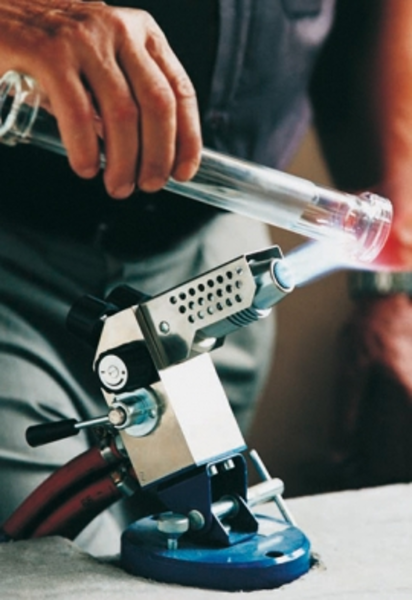 The result of years perfecting development of glass making burners with profesional glassmakers, is a range of burners still in use today with a utility value appreciated by craftsmen. A testament to its quality is the continued interest of our customers. 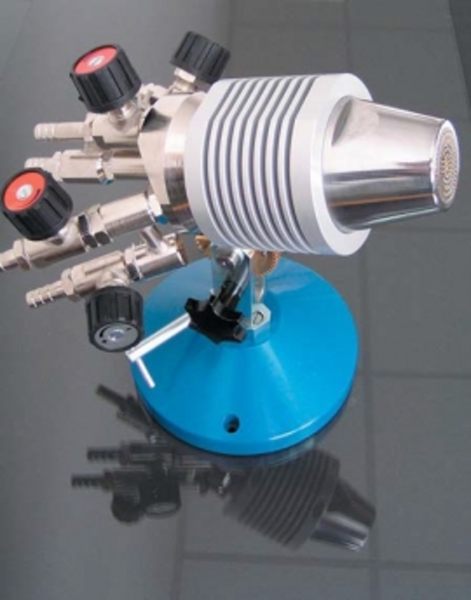 Burners are manufactured as per catalog or can be custom made to order. Our catalogue is available for download here, you can choose the desired type. We can also offer a popular noiseless burner (see photo) but noiselles burner isn´t catalogue. Production of metal parts for the equipment is a fixed part of the longer production range Votice. We provide bridge parts for large assemblies, but also smaller units, including special stands. These include supporting the production and fittings (pipe structures, supporting frames, rings, brackets, support angles, adjusting socket ...), holders of glass structures (tubular holders for variable speed, covers ...), flange connections (flange FastFit ) and special components (drives Agitators, bearing housing, propeller stirrer, lids, lift shafts). The large range of glass products naturally raised the need to deal with accessories made of metal, and these are incorporated in to the product range Votic. Two pressing workshops equipped with a total of nine eccentric presses and two pneumatic presses are enough to cover the needs of our customers. The logical process continues to a completion, so a number of Votice products leave already packed and ready for shipping. We also have a galvanizing line for hard chrome, which helps to improve the life of mold surfaces and exposed parts. This is applied to the surfaces by way of an electrolytically eliminated very hard and wear resistant coating with good corrosion resistance. The coating has a low friction coefficient and thus provides excellent performance in terms of abrasion and wear. Usually plating layer from tens to hundreds of micrometers. The line is currently working at less than maximum capacity, so we are able to provide this service for external customers. Maximum size is 700x600x300mm chrome parts. As a little addition to our other services at Votice we also manufacture metal component fuxtures for the Lamp Designs, for Kavalier and their final product assembly. Because we offer a design and manufacturing facility, we are also able, on the basis of the proposed design, make to order any lamps or chandeliers, and even of larger sizes. The combination of metal and glass designs that have passed through our establishment include several chandeliers, heaviest of which weighed 150 kg (see photo).